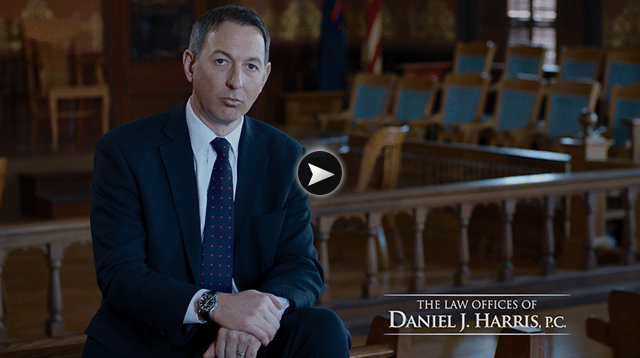 About | The Law Offices of Daniel J. Harris, P.C. The first Law Office of Daniel J. Harris originally opened its doors in 2001 in Petoskey, Michigan. Though Dan Harris began his career working both as a public defender and probate court appointed attorney, the passion he carried for representing clients who suffered negligence resulting in personal injury seems to have matured throughout the years. His unrelenting success in the courtroom as well as achieving significantly positive results for clients has inevitably led to the evolution of his business. The once lonely office has since grown into a formidable team. Featuring seven prominent lawyers all working between three distinct offices, The Law Offices of Daniel J. Harris, P.C. continue to thrive by offering an extensive list of legal services to clients all across Michigan. While a number of our attorneys have spent many years working along side each other, we continue to expand our own knowledge by exploring fresh perspectives with the help of new team members. In the original Petoskey Office, Travis Groat is our resident divorce and family law attorney. Working exclusively with divorce and family law, Mr. Groat has established a reputation of success unsurpassed in Northern Michigan. Hob Ingleson has been an exceptional insurance defense lawyer for nearly 25 years, and for nearly a decade has spent time with injured parties and their families. Mr. Ingleson also contributes a wealth of knowledge regarding civil litigation and probate matters. Mark Connolly specializes in criminal defense and is known to be both tenacious and calming to his clients. Katie Mott Katie Mott is licensed in Florida, Kentucky and Michigan and joined the firm in 2016, after practicing forsix years in the areas of securities arbitration, real estate matters and general civil litigation. She is incredibly detail-oriented and has already celebrated a number of victories for her clients. Expansion of The Law Offices of Daniel J. Harris, P.C. continued with the opening of the Gaylord office in 2012. In July of 2015, Miranda Bailey-Quick joined the Gaylord office bringing her own level of experience and reputation in the divorce and family law area, as well as years of experience and compassion as a criminal defense attorney. Miranda Bailey-Quick also focuses her practice on personal injury, driver’s license restoration hearings and appeals, as well as special needs and estate planning. Mr. Klagstad was admitted to the State Bar of Michigan in 2015, joined The Law Offices of Daniel J. Harris, P.C.‘s Gaylord office in June 2017 where practices civil and criminal defense throughout northern lower Michigan. His focus is on criminal defense, Social Security disability, workers compensation, and personal injury cases. Although not staffed daily, when the Detroit office finally opened in July of 2014, our focus expanded even further to include construction accident litigation. Over the past few years our successes in this area have proven outstanding for our clients. The Law Offices of Daniel J. Harris, P.C. continue to bring over 100 combined years of litigation experience to our clients, treating all cases personally and with deserved respect. Choose experience. Choose integrity. Choose justice. Do yourself a favor and choose The Law Offices of Daniel J. Harris, P.C.